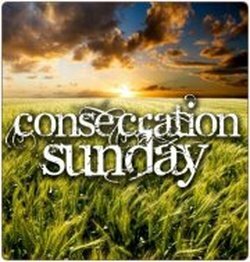 ​A significant feature of the Consecration Sunday program – besides its biblical and spiritual principles – is that the only telephone calls and visits will be to seek reservations for the Consecration Sunday celebratory lunch. There will be no calls or visits asking parishioners to complete their “Estimate of Giving” cards. 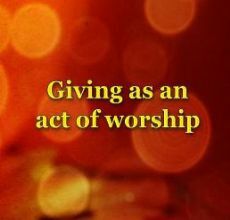 We will be treating one another as the committed disciples of Jesus Christ that we are – disciples who want to give in response to God’s call to us. Some of you have already met Cassie, my new canine companion. Yes, a new dog has taken up residence with me in the rectory. Cassie is a bull-boxer mix, with a beautiful brindle coat, probably two years old, and comes from LaGrange, Georgia. As you might imagine, Cassie is 40 lbs of energy! She loves running around, chasing real and imagined squirrels in the rectory backyard. We met and adopted each other during an Adoption Fair for rescued dogs on Sunday, October 9, at the Guilford Fairgrounds. Cassie and I have to learn how to manage her amazing energy on the Green toward anything or anyone who is moving! We have signed-up for classes, and I’m in touch with her trainer in Georgia. To be clear, when Cassie meets people who are seated, she is totally chill. She comes from a devoted foster family where she lived well with other dogs and young children; she’s had all her shots, tests, etc. Abbie Vander Wyden serves as our nursery assistant. Abbie is a senior at Guilford High School and enjoys working with our toddlers. Each Sunday from 9:30 a.m. -10 a.m., grades Pre-K - 5th grade meet in the 4th and 5th grade Sunday school classroom for "Chapel Time" with director Laurie Varley. We share our "Prayers and Praises," have prayer time together, and Laurie introduces the Bible story. At 10 a.m., children go to their Sunday School classrooms, which are set up this way: Pre-K - 1st grade (Becky Patino/teacher); 2nd - 3rd grade (Donna LaFata/ teacher, with Stephanie Hutchinson assisting); and 4th - 5th grades (Marybeth Clarke and Richard Marvin/ co-teachers). Linda Reich, Sara Trotter and Lisa Ste. Marie have volunteered to serve as substitute Sunday School teachers. We join Mark Sullivan each Sunday in the Parish Hall at approximately 10:30 a.m. to enjoy music time together and also to learn some new songs. After music time is concluded, we join families in the sanctuary for the "Peace." Thank you for this opportunity to get to know the children and families of Christ Church. Our Sunday School program is off to a great start. Many thanks to the teachers and assistants who volunteer their time each Sunday to be involved. It's such a blessing to share God's love together. The Evening ECW is happy to announce that its Second Annual Tag Sale, held this year on Saturday, September 24, was a great success! Our proceeds (which are just about the same as we experienced in 2015) will be dedicated to Phase 1 of the Parish Hall remodeling project. We were thrilled that so many of our wonderful parishioners turned up to help, both setting up for and helping out at the sale, and of course with all of your generous donations. We couldn't have done it without you! While most of the unsold items were donated to GoodWill Industries for re-sale in their stores, we were also glad to be able to provide furniture and household items for the IRIS refugee re-settlement program and to send along warm winter coats, sweaters, and outerwear for distribution to the homeless in New Haven. We also "saved" a number of Christmas wreaths, which will go to our youth for their decoration project. Waste not, want not! Plans to move the Parish Hall project along are in the works. We are currently soliciting bids for the first phase of construction and hope to be in a position to move towards a contract shortly. Just FYI, our architect, Patriquin Architects, is performing a substantial portion of its work for us on a pro bono basis. We are very thankful! Our next project happens on Sunday, November 13, and it's a return of last year's well-received bread sale. This year we won't be taking advance orders, but will have available for sale three great varieties of quick bread, plus (new for this year) slice and bake cookie dough! All products are lovingly homemade, so be sure to stop by after either the 8 a.m. or the 10 p.m. service and stock up for holiday entertaining. Our next two meetings will be in the Guild Room -- the November meeting happens on November 3 and the December meeting is on December 8, to accommodate the Chili Supper, which will be on Friday, December 2. Our meetings run from 7 to 8 p.m. sharp and all women of the parish are most welcome! Thanks to all of you who contributed to the United Thank Offering this fall. Your generosity will make it possible for the national Episcopal Churchwomen organization to continue to give grants in Connecticut, the United States, and throughout the Anglican Communion, which have aided in the past such projects as sponsoring a youth group, updating a church kitchen, clearing land for a community garden, or funding a school for girls in a developing country where there is normally little educational opportunity for them. As of this writing, you have contributed a total of $899 for spring and fall of 2016, for a grand total of $10,900 for the 12 years that I have been UTO coordinator for Christ Church. It is now time for me to pass on that banner to someone else, who, I am sure, will continue to aid in the good work of thanking God for the blessings of our lives in this tangible way. Remember, “Everyone makes a selfless contribution, big or tiny according to means and skills, but each of equal worth.” (Stephen Jay Gould, writing about the efforts of volunteers at Ground Zero the week after 9/11.) Thank YOU for YOUR contributions! Watched a YouTube video of Christ Church photographs set to a lovely Choir anthem by Music Director Mark Sullivan; the Vestry thanks Mark and encourages parishioners to watch and share the video – click here. Reviewed the parish’s June and July experience during the rector’s 2016 Study Leave and Vacation – having visiting clergy for two or three weeks each was well-received; pastoral care continued; operations were well-managed by Parish Administrator, Wardens and Finance Team; seemed a good pattern for summers 2017 and 2018; the rector was very grateful! Learned during that during the 2016-17 academic year, Christ Church will again benefit from a seminarian-intern from Berkeley/Yale Divinity Schools – Andrew Doss, a senior from the Diocese of Louisiana. We welcomed back our members after a long HOT summer on Thursday, September 8, 2016. We enjoyed catching up with each other and then got down to work planning this year's projects. for the workers. Some of us will also help them however and wherever we can, and we expect it to be a very successful event for them. Upcoming events: On November 13, we will hold our "Jeanette Koncz’s Famous Hungarian Cheese" sale. On December 2, we will have our popular cookie sale at the Chili Supper, and a new project, "Paint Your Own Masterpiece" in January 2017. Our Mother’s Day projects, "A Rose for Mommy" and "A Rose for Mom," will start Easter Sunday and be available for pickup on Mother's Day, May 14. Further information on all these events will be announced in the Sunday Bulletins prior to each project. 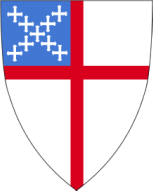 All Christ Episcopal Church women are members of ECW and we hope you will join us. We meet on the second Thursday of each month for a business meeting at 11 a.m. with a carry-in luncheon, and will be held in the Guild Room, unless we have a program that requires the Parish Hall. All other Thursdays we meet after Bible Study at 10:30 a.m. in the Guild Room. 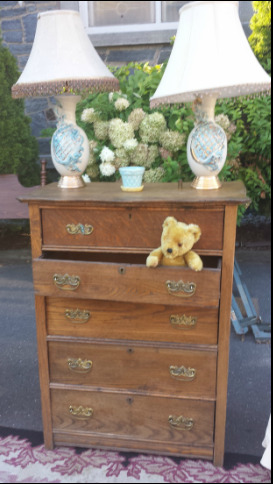 We each bring a sandwich and a hostess provides dessert and makes tea. The October meeting was held in the Guild Room with a buffet-style carry-in luncheon set up in the Parish Hall. Our business meetings formerly had been held in the Parish Hall, but as our membership has dwindled, we found this to be a more comfortable and friendly environment. Our Military Whist that was to be held on October 14 was cancelled. We are saddened to announce that Carol Bellucci, our Commander-in-Chief, recently suffered a stroke and will not be monitoring the Military Whists. Patty Maglio has taken over for Carol, but we could not find a date that was mutually agreeable. A Whist date for sometime in October 2017 has been set. Please keep Carol in your thoughts and prayers, as she has been a good friend to Christ Church ECW. We also made plans to purchase supplies and make the cheese spread to be sold on Sunday, November 13, at coffee hour after the 10 o'clock service. There will NOT be pre-orders taken and cheese will be ONLY in 1/2 lb containers suitable for freezing. Note the change of date for this project from November 20 to November 13. The EECW will sell their holiday bread and cookie dough also at this time. Please mark the date on your calendar and look in the Sunday Bulletins for further information. We voted to provide the Sunday School director with a $50 donation to purchase new toys for the nursery room. Halloween candy will be purchased for Harrison to distribute at a "trunk or treat" event and on Halloween.